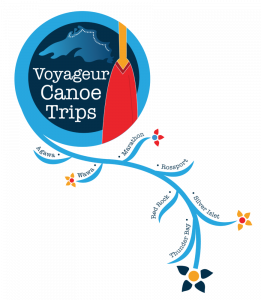 To celebrate Canada’s 150th birthday in the summer of 2017, Naturally Superior Adventures recreated the Canadian fur trade experience with the Lake Superior Voyageur Canoe Brigade. The program was a success and we are excited to continue with selected annual routes. 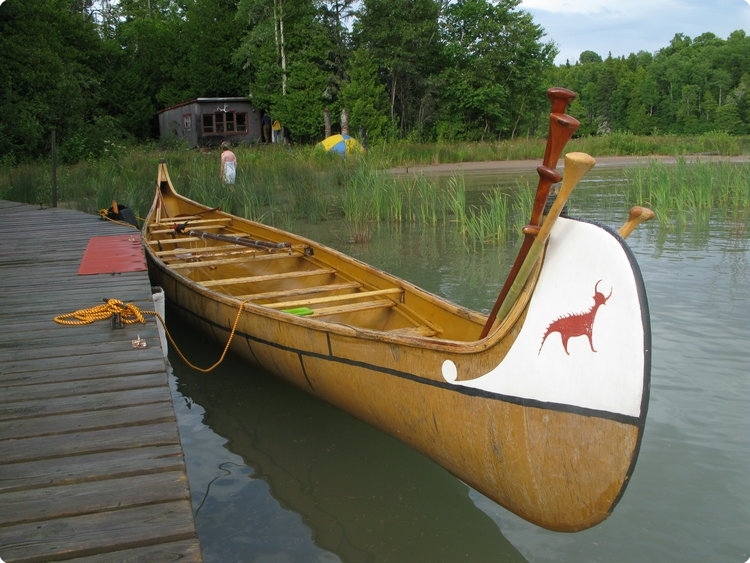 The program consists of guided, all-inclusive wilderness adventures in replica 36-foot voyageur canoes. Each “brigade” travels 5, 7 or 10-day legs, wilderness camping along the way. 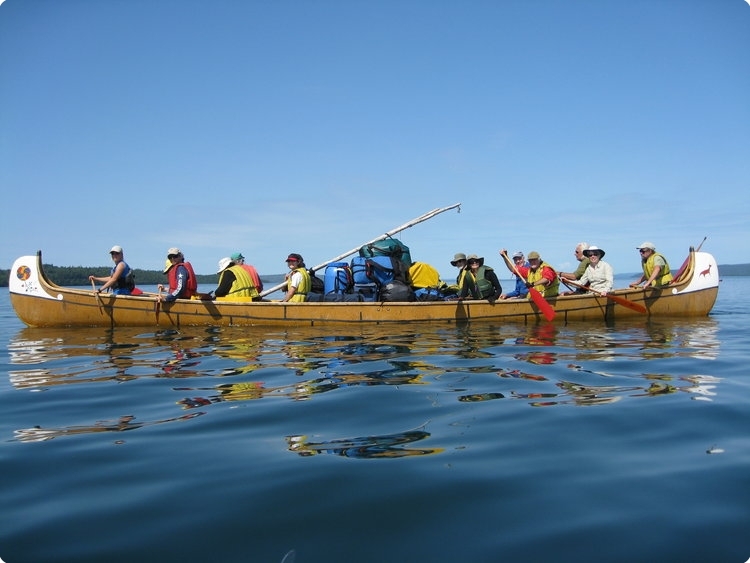 The routes trace the same coastlines that were paddled by the fur-trading voyageurs in Canada’s early days, two centuries ago. 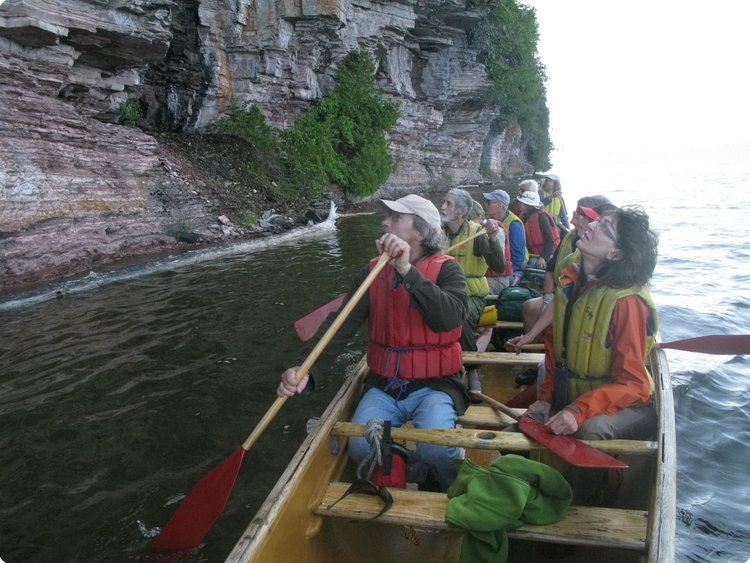 This shoreline is officially designated as the Lake Superior Water Trail, a part of the 24,000-kilometre-long Trans Canada Trail. Each of the sections, or “brigades,” of our journey focus on a quintessential Canadian theme, including First Nations, voyageurs, French-Canadian culture, Canadian art, music, and explorers. Each segment may also feature a “paddling minstrel” to serenade participants around evening campfires. Stay tuned for host announcements. 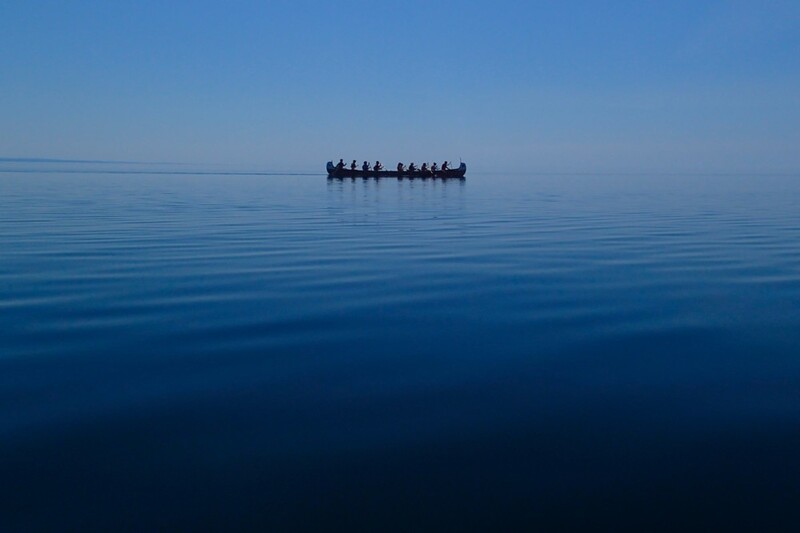 A joy of travelling on Lake Superior is the lack of portages. This combined with a high-volume canoe means that our trip menu is hearty and healthy, including plenty of fresh foods. 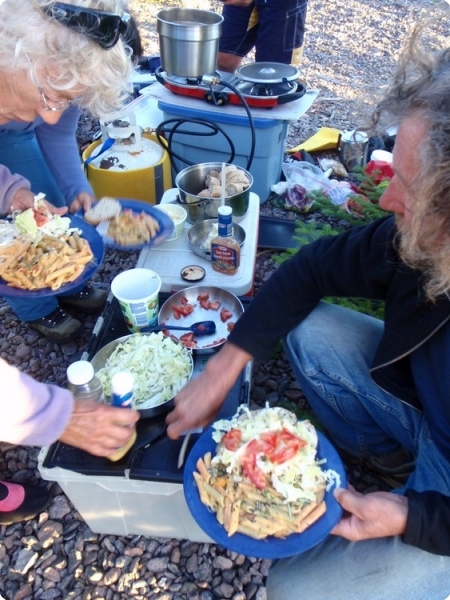 Meals are planned, packed and prepared by guides; with sufficient notice, most dietary preferences (vegetarian, vegan, gluten-free) can be managed. 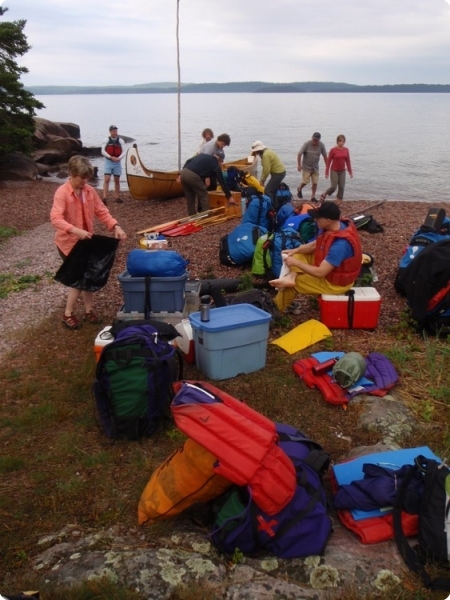 Participants are welcome to help with camp chores or relax and enjoy Lake Superior’s beauty. A detailed trip package will be sent following registration. Pukaskwa National Park is the wildest freshwater coastline in the world, a 180-km stretch of roadless wilderness that’s changed little since the voyageurs plied these waters two centuries ago. Expect solitude like you’ve never experienced before as we discover secret campsites and trackless beaches. Some of the journey’s landmarks speak to the impressions this coast made on the voyageurs: The bold headland at Pointe La Canadienne, the still waters of Bonamie Cove and the endless beaches of Oiseau Bay. 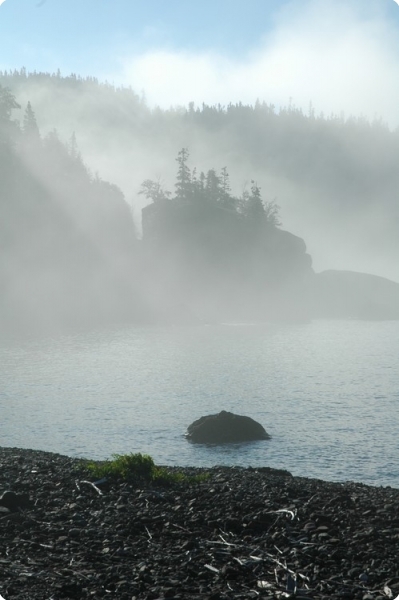 If you listen hard on a still morning you can still hear the voyageurs’ chansons in the mist. Pukaskwa was a favourite destination of Bill Mason, a legendary Canadian filmmaker, artist and environmentalist. In 2017 we were fortunate to travel with his daughter, Becky, who has carried on her father’s legacy of wilderness canoeing. Join us for stories, solitude and adventure on a wildly enchanting shore. 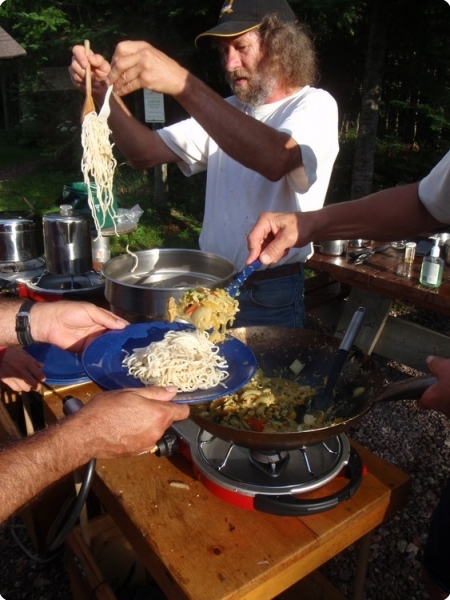 Experienced guides/hosts, trip meals, all outfitting, safety/communication and group camping gear. 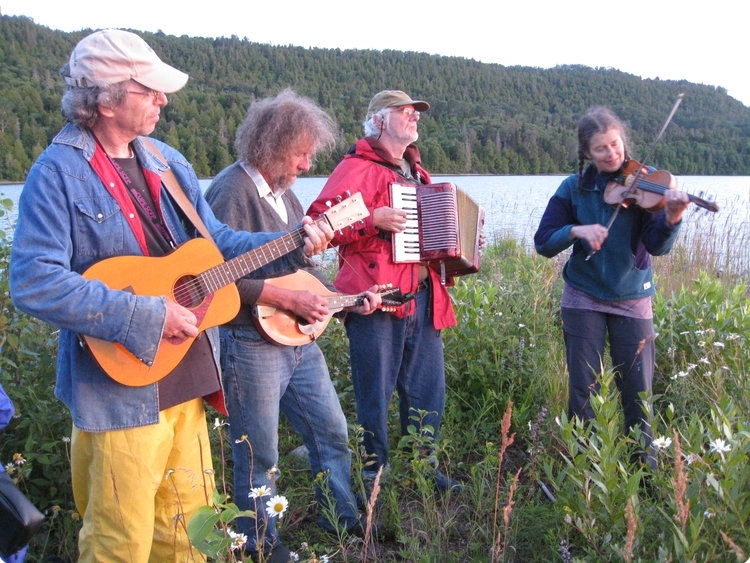 Musical gifts were cherished in the community of voyageurs. 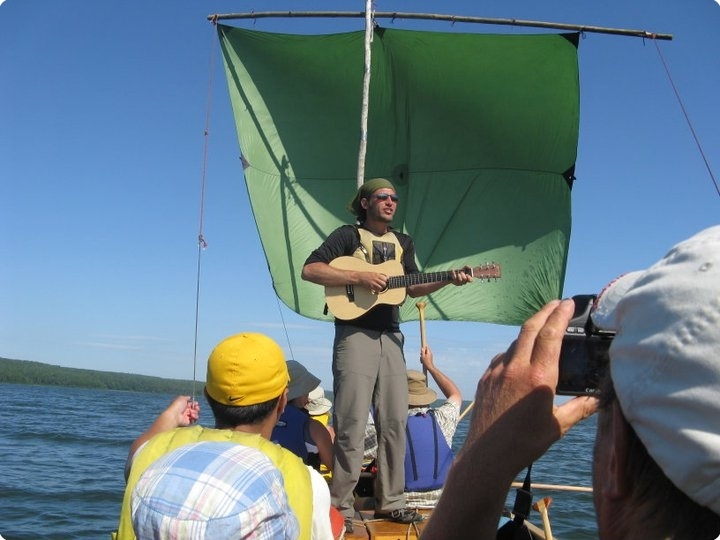 The best singers were awarded extra pay and an esteemed place in the canoe; folk tunes and ballads were the soundtracks of voyageur brigades, setting the pace for flashing paddles. Guest musician for 2019 TBD. Sign up for this trip if you love great music and wilderness camping. The island-strewn waters of western Lake Superior are unique, marked by agate beaches and rugged volcanic geology and protected by the Lake Superior National Marine Conservation Reserve. We’ll enjoy secluded campsites and a special night at a wilderness sauna. 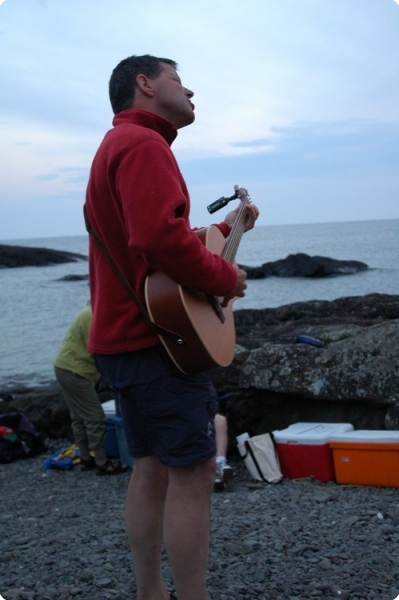 Be sure to bring your own musical instruments to jam with a Canadian music icon around the campfire. Our guides were both tons of fun! They were wonderful interpreters and truly made this a trip to remember!